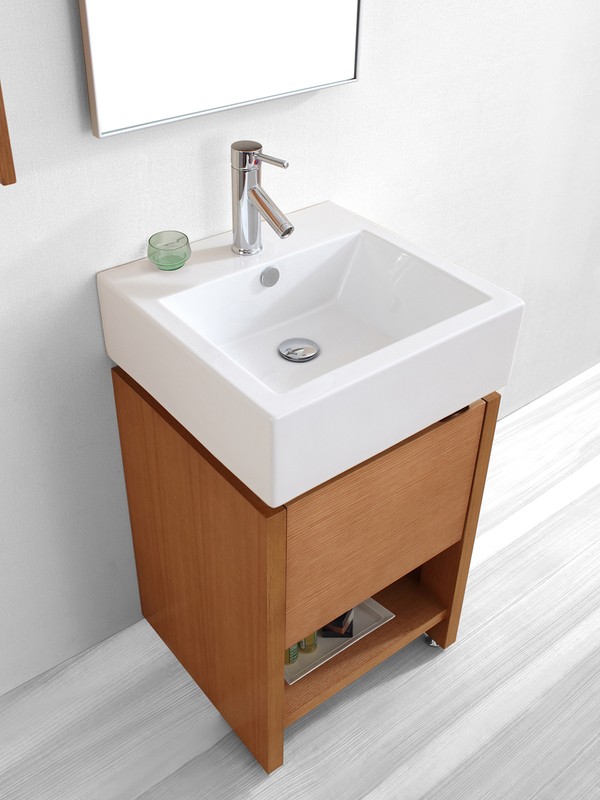 The 19.75" Curtice Single Vanity features a streamlined, minimalist design that is also functional. 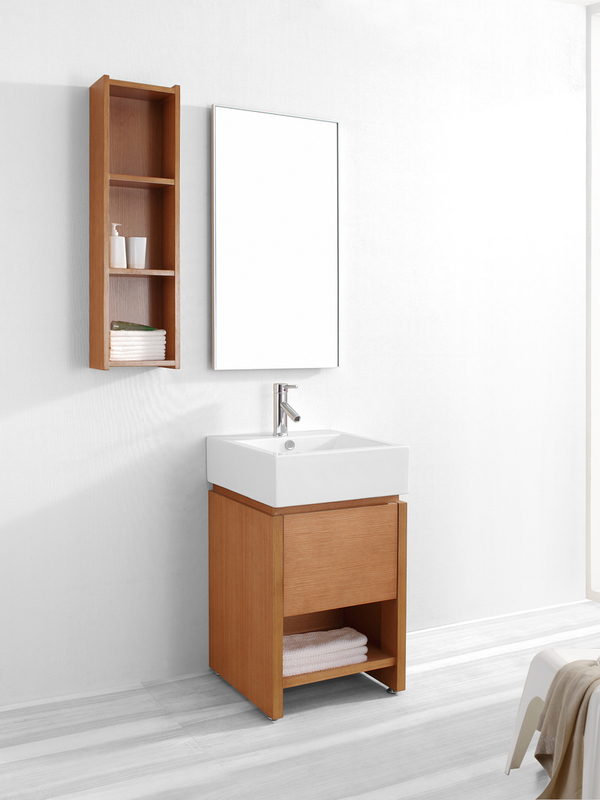 This vanity is the perfect choice for modern bathrooms that are short on space. The integrated basin is white ceramic and easy to quickly clean. It features two storage shelves with one sitting behind a hinged door. 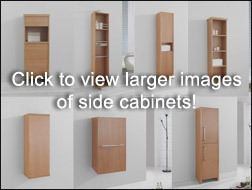 The cabinet is built from solid laminate wood with a Grade A wood veneer in a warm chestnut finish. 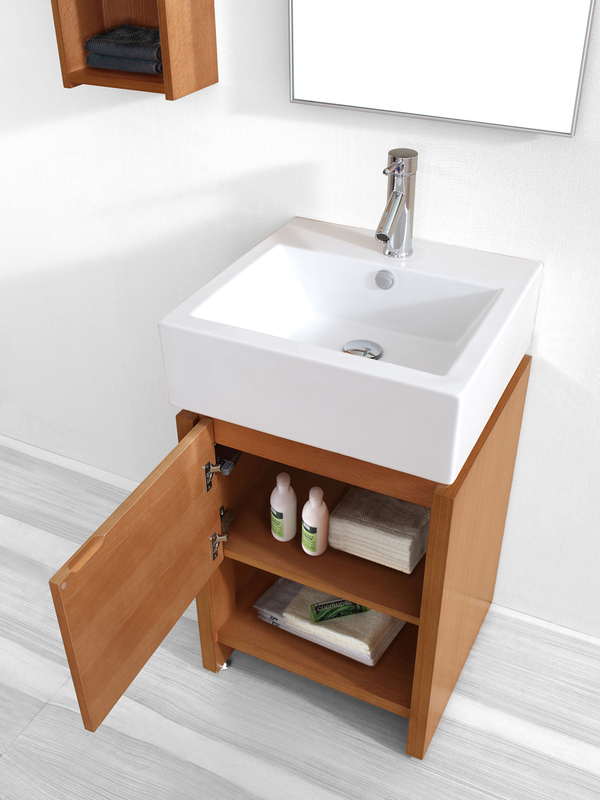 This vessel sink vanity also comes with matching mirror and wall shelf. 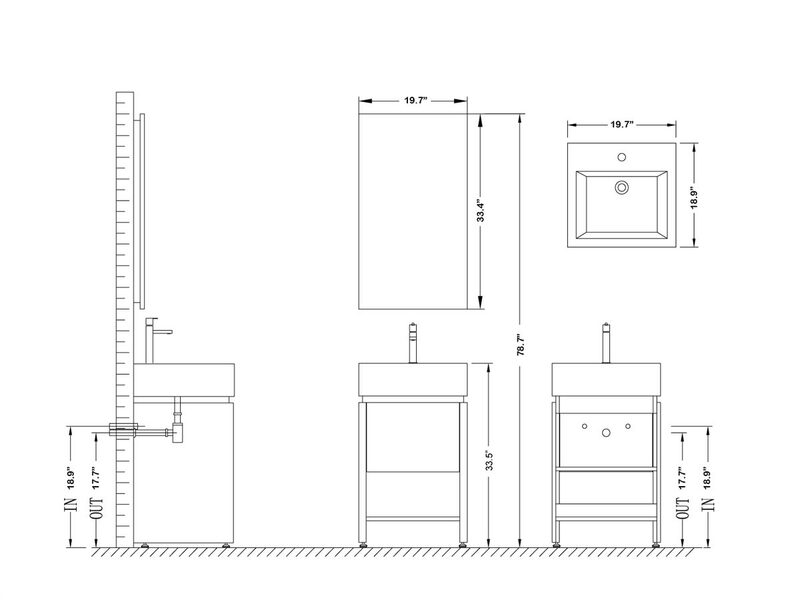 Additional matching cabinets are also available. 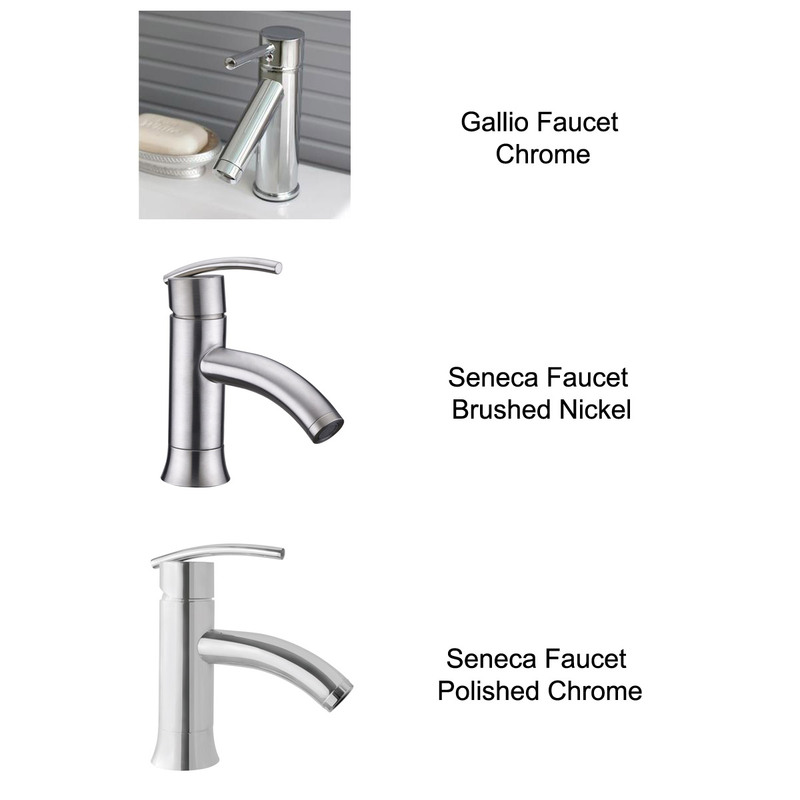 Faucet options available. Basin Height From Counter 6.25"